How Can You See a Satellite View of Your House? This is an article from our archive, but we’ve updated it with this spiffy video. Every now and then I go looking for a free aerial view of my home. It’s amazing what’s available through the internet now, totally free. 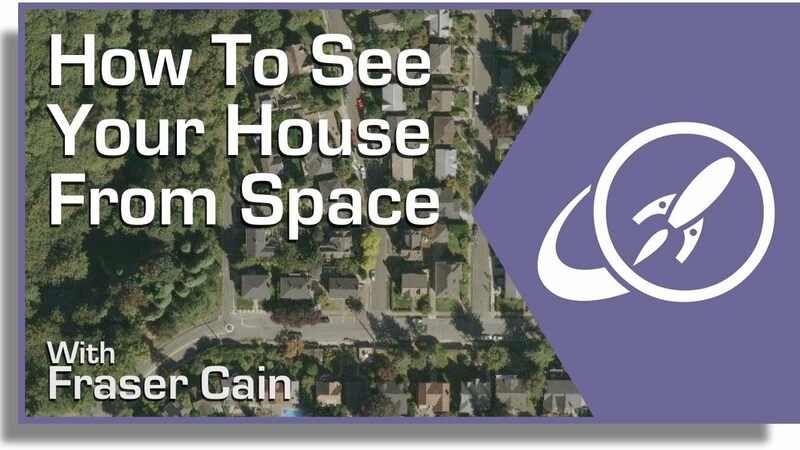 Thanks to commercial Earth observation satellites, and internet tools that make these photos accessible through the internet, it’s easy to see your house from space. In our modern space age, there are more than 8,000 satellites currently orbiting the Earth. The vast majority of these are relaying data to and from the Earth, and many are equipped with high power cameras. Just look up into the sky any night, and you’re sure to see satellite after satellite passing overhead. But what are some ways you can get access to these satellite and aerial images of your house? If you want to go way out and just see a satellite image of the entire planet, there are some solutions for you: weather satellites. 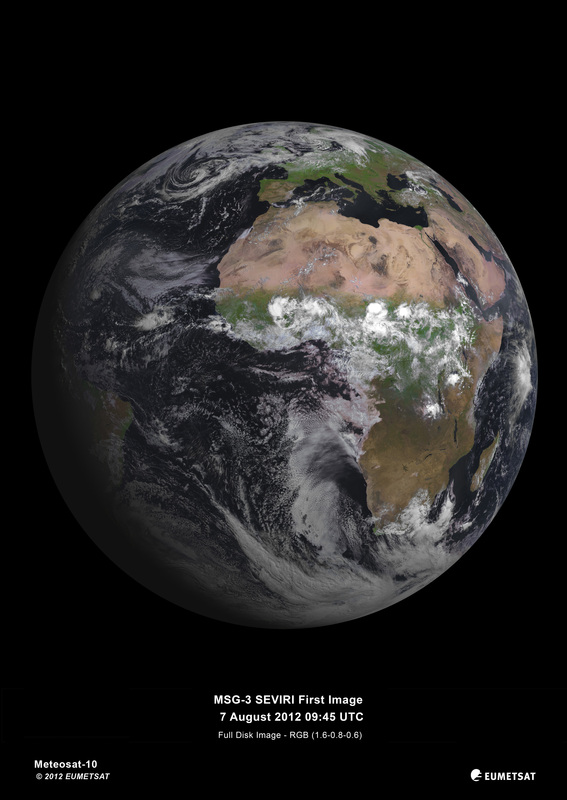 For example, NOAA’s Geostationary Operational Environmental Satellites (GOES) release images of an entire hemisphere of planet Earth every 3 hours. From these images you can see major weather patterns affecting parts of the Earth. But you really can’t see any specific spot on Earth with any detail. What is really cool about these satellite views is that they’re live. The weather systems you’re seeing in those images are happening on the planet right now. If you don’t want a live view, and really just want to see a beautiful view of the Earth’s hemisphere, check out these images produced by NASA. Here’s a composite photograph that shows the Earth’s Western Hemisphere, and here’s a view of the Earth’s Eastern Hemisphere. There were also some amazing new satellite images of the Earth released from the European Space Agency’s 3rd generation Meteosat spacecraft. If those whole Earth pictures don’t give you enough detail, let’s zoom in, and see some pictures of houses from space. The best tool on the market, in my opinion, is the service from Google Maps. All you need is a web browser and a connection to the internet. When you first start up, Google Maps displays a satellite view of North America. You can then zoom in, or pan the camera around to see any location on Earth. You can also type in the address of the location that you want to see. Once you do that, you’ll get a free satellite view of your house. You can save the image or print it off. Another cool tool from Google is Google Earth. You can access by going to http://earth.google.com. The main difference between Google Maps and Google Earth is that you have to download and install Earth on your local computer (they have a version for PCs, Mac, Linux, and even the iPhone). Once you’ve downloaded and installed Google Earth, you can see a 3-dimensional view of Earth that you can zoom in and out and spin around. You can type in your address and get a view of your house from above. I actually like the printing function of Google Earth better, since it’s using your printer directly, and not going through the web browser. And if you really hate using products from Google, no problem. There are similar services from Yahoo and Microsoft. Microsoft’s mapping service used to be called MSN Maps, and now it’s been changed to Bing Maps with their new identity. The Yahoo service is called Yahoo Maps, and it’s very similar to Google Maps. The two services do have some big differences, though, and there’s a cool application that lets you see the two of them side-by-side. I used it for my home and found that Google Maps has better resolution maps for my city. Where Do All these Pictures Come From? Google Maps and the other internet mapping services are really just customers for the satellite services that actually take these photographs from space. There are a few major services on the market, including GeoEye. GeoEye’s main competitors include DigitalGlobe and Spot Image. Each company has a fleet of Earth observation satellites, with a capability of resolving features on the surface of the Earth as small as about 45 cm (18 inches). In other words, an object 45 centimeters across would appear as a single pixel in their photographs. GeoEye – 5 satellites: IKONOS, OrbView-2, OrbView-3, GeoEye-1, GeoEye-2 (in 2013). Each of these services allow customers to purchase satellite imagery directly, but I’ll warn you, the prices are extremely high: hundreds or even thousands of dollars for satellite imagery. You typically can’t buy directly from the satellite company itself, but through their international partners.It’s better to stick to the free sources. Are These Live Satellite Views? When you look at these amazing views of your house from space, you might wonder if this is live. If you walk outside and look up, will you be able to see yourself from space? Unfortunately, no. All of the free satellite images you’re accessing were captured by various spacecraft over the last couple of years. You can actually get a pretty good sense of when the picture was taken by the image of your property. For example, in the photo of my house from space, I can see a car that I sold a couple of years ago. Obviously, this image isn’t live, it’s at least a couple of years old – even a decade old in some cases. A live satellite view of your house, is still a few years off. There are some services which will give you a live view of Earth from space. For example, you can access a live broadcast from NASA’s International Space Station. About 40% of the time, if you follow this link you can see a live view of Earth from the space station. Another service called Urthecast will be attaching a high definition camera to the International Space Station in 2013 to broadcast a live view of Earth from space. Google Earth is available for Android, too – not just iPhone. As you alluded to the highest resolution of satellite imagery on Google Maps/Earth is about 45cm/pixel but, as Google Maps/Earth can show photography with a lot more detail than that, I always thought that the highest detail photographs are taken from aircraft and not satellites…? The link http://www.goes.noaa.gov/goesfull.html is broken. It is for me , anyway. I really wish people would stop describing things as 3-D that aren’t. Zooming in and out and spinning around is not 3-D. Being able to see depth in an image is 3-D and, at this point, requires glasses (or a hologram) to present slightly different images to your slightly different eyes. I love 3-D images but being able to zoom in and out is not it. I suspect the author meant to type “3D model of Earth”, which would be correct – but not many people are going to care about the subtle difference between models, views and images. Calling it a 3D view gets the point across, which is good enough for a news article. Ok. But I really like real 3-D.
C’mon don’t say you havn’t had a little nosey? As a matter of fact, for that purpose, I found a way that is totally free of charge, that has a much better resolution than 45 cm (quite amazing actually) and it is live! I look trough the window! Previous PostPrevious First-Ever Video of an ATV Vehicle Into Orbit! Next PostNext Is This What a Mars Outpost Will Look Like from Orbit?